ARLINGTON, Va. – The National Association of Chain Drug Stores (NACDS) Foundation announced that Dr. Michael Fraser, chief executive officer of the Association of State and Territorial Health Officials (ASTHO), will accept the 2018 Excellence in Patient Care Award at the 20th Annual NACDS Foundation Dinner on November 28, at the Sheraton New York Times Square in New York City. ASTHO is the national nonprofit organization representing the public health agencies of the United States, the U.S. territories and freely associated states, and Washington, D.C. Dr. Fraser has advanced ASTHO’s mission as an advocate, voice and resource for state and territorial public health since August 2016. He is currently a collaborating editor and author of A Public Health Guide to Ending the Opioid Crisis, slated to be published by Oxford University Press in early 2019. Throughout his 20-year career, Dr. Fraser has served as an educator, innovator and distinguished leader in public health. 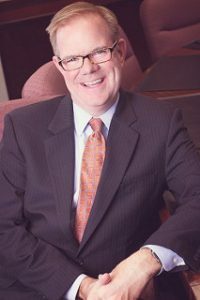 Prior to joining ASTHO, he served as executive vice president and CEO of the Pennsylvania Medical Society, as CEO of the Association of Maternal and Child Health Programs, and as deputy executive director of the National Association of County and City Health Officials. He also has served in several capacities at the U.S. Department of Health and Human Services. The NACDS Foundation funds evidence-based research, educational programs and philanthropic initiatives designed to improve patient outcomes and advance public health. Just last month, the NACDS Foundation announced an additional and collaborative strategy to contribute to solving the opioid-abuse epidemic. Also, the NACDS Foundation Scholarship Program provides grants to schools and colleges of pharmacy for innovative educational programs. More information is available on the websites of the NACDS Foundation and of the NACDS Foundation Dinner.